This essential FISH! training resource supports what you teach and engages people while you teach it. It includes short explanations of each practice and activities to help them recognize their impact on people. It includes tips on applying the philosophy in daily life and a self-survey to assess how well you are living it. 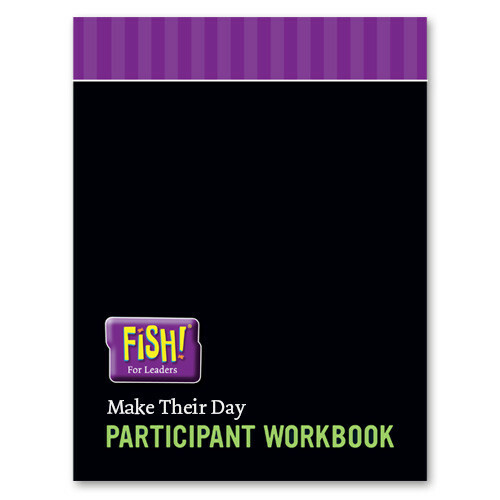 Make sure you have one for every participant at your event! Create an environment where people are excited to play with ideas that improve results, and use mistakes as a way to learn. 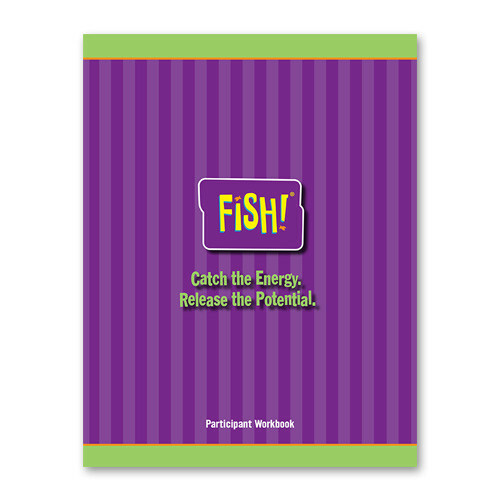 Enhance your leadership training with The FISH! 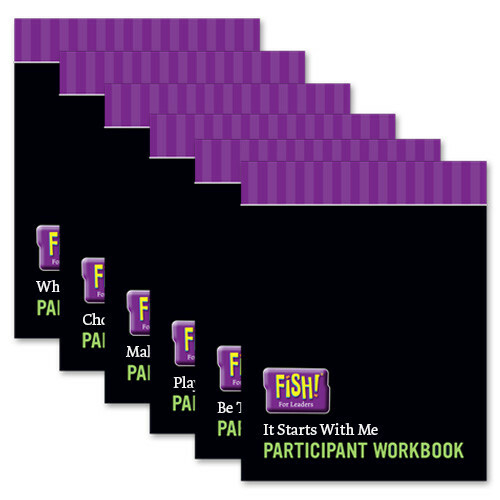 For Leaders Participant Workbook. It helps leaders put what they have learned into action. There’s a workbook for each of the six FISH! For Leaders videos. Get one for every participant. FISH! For Leaders Participant Workbook: It Starts with Me Understand your impact on others as a leader, and how to “be” the example you want to see in the people you lead. FISH! 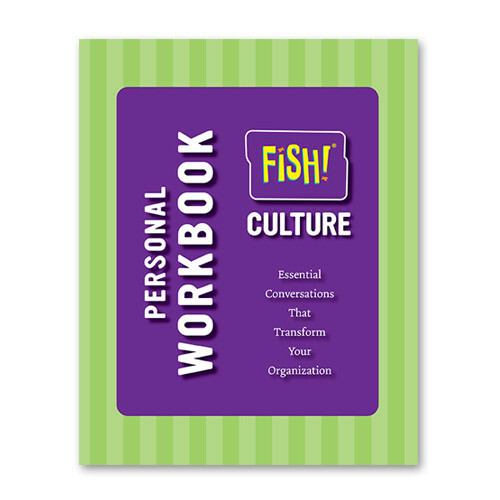 For Leaders Participant Workbook: Be There Learn how to be more present for the people who need you and build trust with your team that leads to excellence. FISH! 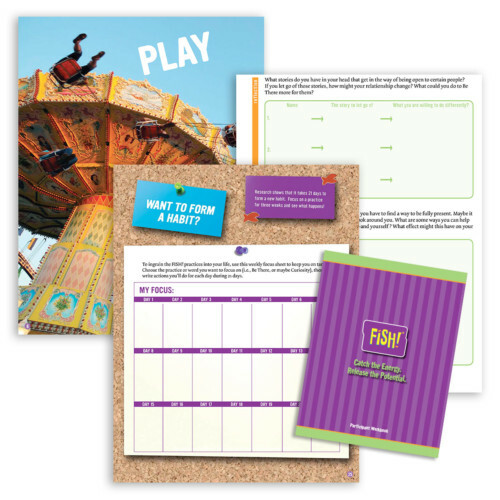 For Leaders Participant Workbook: Play Create an environment where people are excited to play with ideas that improve results, and use mistakes as a way to learn. FISH! 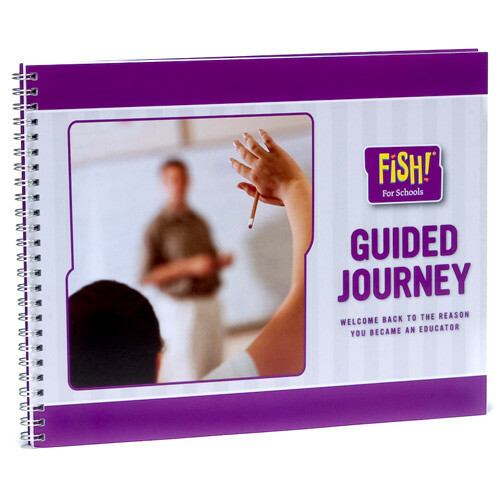 For Leaders Participant Workbook: Make Their Day Learn why it’s so important for leaders to show their appreciation, and how simple gestures are often the most meaningful. FISH! For Leaders Participant Workbook: Choose Your Attitude Understand the impact of your attitudes, be more aware of your choices from moment to moment, and handle others’ mistakes in a way that strengthens relationships. FISH! For Leaders Participant Workbook: Who Are You Being? Learn how to “be” a leader in a way that is consistent with your intentions, and give your team permission to help you stay in alignment with your intentions.